The crackle of burning wood in the fireplace, the smell of pumpkin pie in the oven, the roar of Uncle Jim as the Cowboys score a critical fourth quarter touchdown — there are all sorts of things to love about Thanksgiving Day. Here at Who's Calling, we and our stomachs are pretty excited for the quickly approaching holiday. 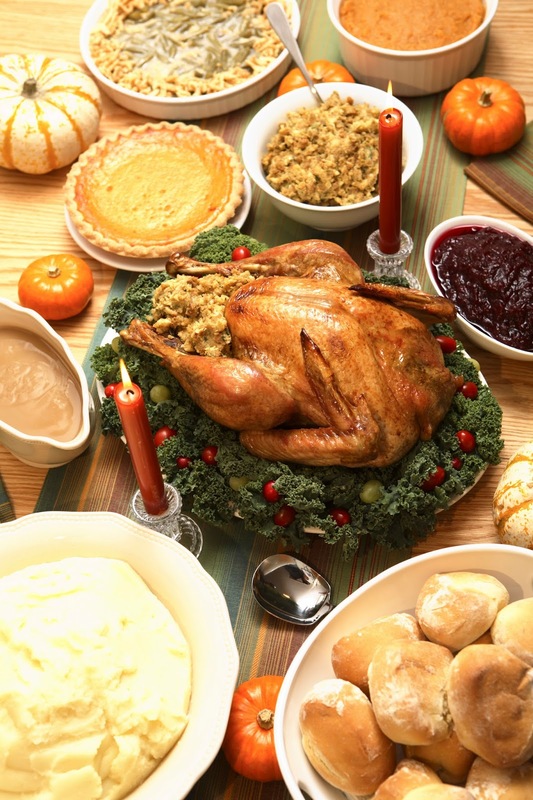 You might be wondering what prepping for Thanksgiving and planning a marketing strategy have in common. Well we put together some tips that will help you understand how to impress your target audience in both arenas. There are some pretty good methods for preparing a Thanksgiving turkey, but let's be honest — you know you're way more excited about filling your plate with gobs of mashed potatoes, green bean casserole and macaroni and cheese. That's why you need massive plates for piling up lots and lots of side dish goodness (and a couple small slices of turkey on top). In your marketing campaigns, sure, you could just slap your main product on an ad and call it a day. But consumers don't want to feel like they're being pushed to purchase something. Try putting the emphasis on the side dishes — the little nuggets of information that compliment the product and convince customers they need it. You're not selling the turkey, you're letting the side dishes do the talking. As the wise Julia Child would say: "Save the giblets!" We agree. Creating a marketing campaign is like prepping a turkey. There are inevitably parts that are taken out because they don't add much to the final product. Like the giblets! They're not necessary to make the turkey complete, but you can't make giblet gravy without giblets, can you? Anyway, we're not here to talk about turkey giblets, but rather the giblets of your marketing campaigns. When you create a new campaign, it usually goes through an extensive creative process. By the time you have your final product, it may only be part of what you started with. But that doesn't mean you should throw out all the little parts that helped along the way. Those marketing giblets can be saved and simmered into a brand new campaign in the future. Turkey can be prepared in some amazing ways, but we've probably all had some bad Thanksgiving experiences thanks to a dry and boring main course. When it comes to planning your big dinner, why not just skip the turkey? Some people like to have a little variety and cook alternatives such as ham, pot roast or prime rib. Don't get tied down by tradition just because that's what you've always done. Cook up some fresh campaigns and let them give your products new life. Spice things up by changing your message or upgrading your ad layouts. You can even track the effectiveness of these new ideas by using toll-free numbers (TFNs), so you don't waste time and money on campaigns that aren't working. These are just a few of our favorite ideas when it comes to marketing campaigns. Here are some other marketing philosophies that may help you out this season.